Start spreading the news! 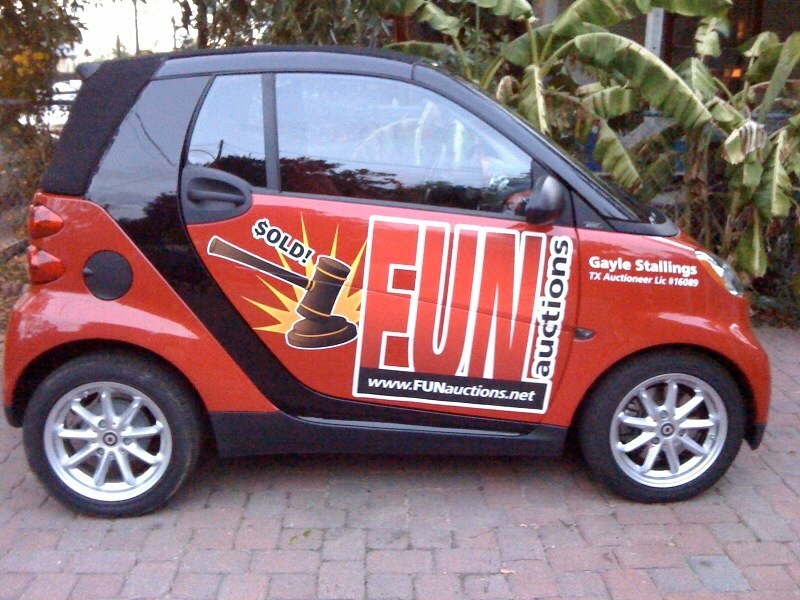 My thanks to Greater Giving for the honor of being a contributor in “26 Proven Revenue Enhancers for Your Fundraiser” filled with new ideas and how to incorporate them for your next fundraising event. 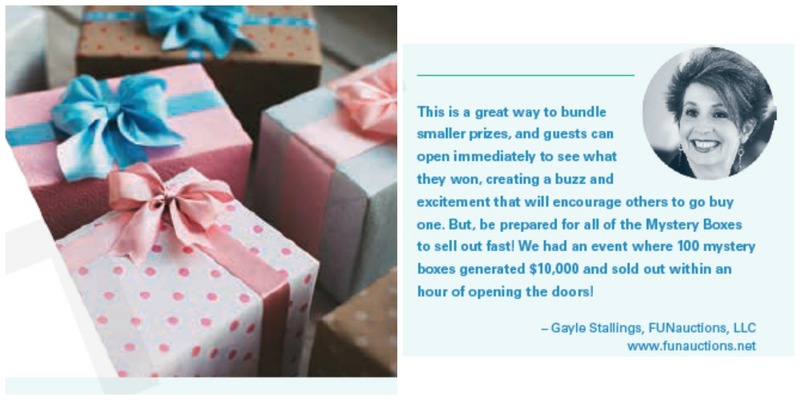 I am thrilled to be among the 26 benefit auctioneers and event consultants from around the country in Greater Giving's inaugural Look Book. 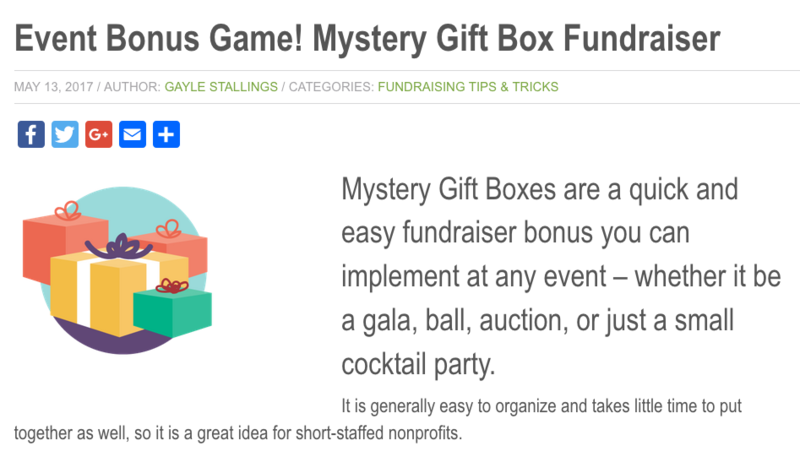 Flip over to page 49 and you’ll see where I reveal how to take the mystery out of using Mystery Gift Boxes at your next fundraiser. 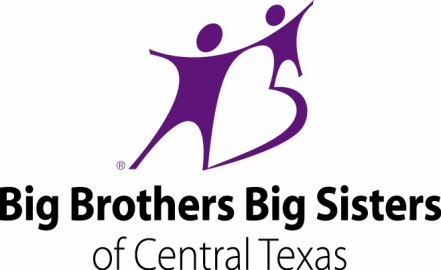 The article was also featured in Greater Giving’s latest blog.